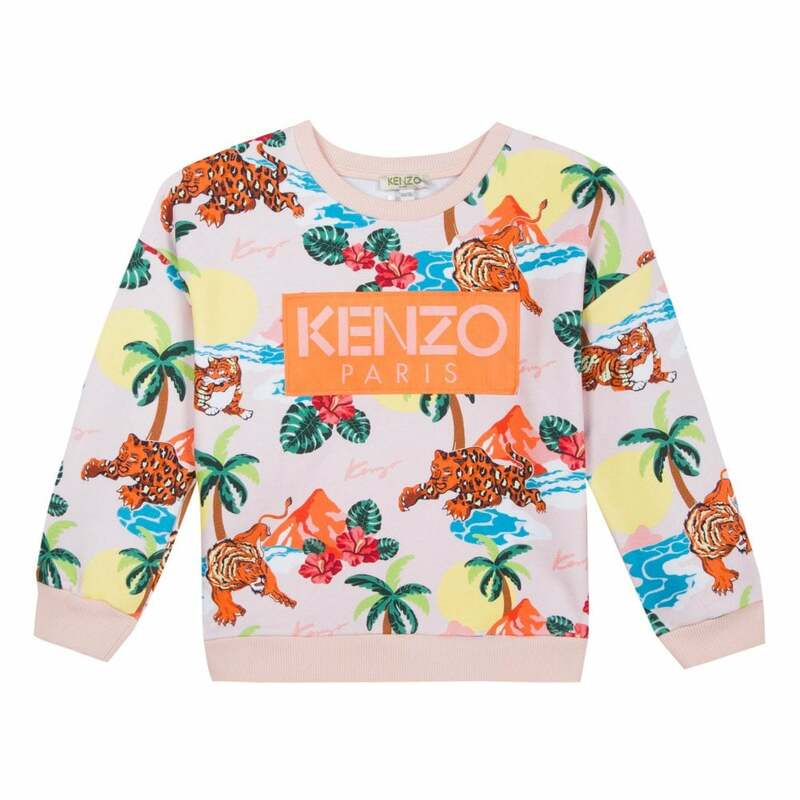 This Kenzo Kids JG Fancy Hawaii Jungle Print Sweatshirt is 100% cotton and is pink in colour. It features elasticated rib sleeve cuffs and hem and a Hawaii Jungle print on the front and back with Kenzo Kids branding. It has long sleeves and a crew neck. It is ideal for any casual occasion.